The creme de la creme of East London’s artists and designers come together for Art Against Knives: a 2 day event and exhibition to raise awareness of knife crime in the community and to raise money for the medical treatment of Oliver Hemsley the 20 year-old Central St Martins student, shop buy who was left paralysed after being stabbed multiple times on Boundry Street. Art Against Knives promises to be inspiring both artistically and socially. Art Against Knives, price this Monday and Tuesday only, approved see website for locations. 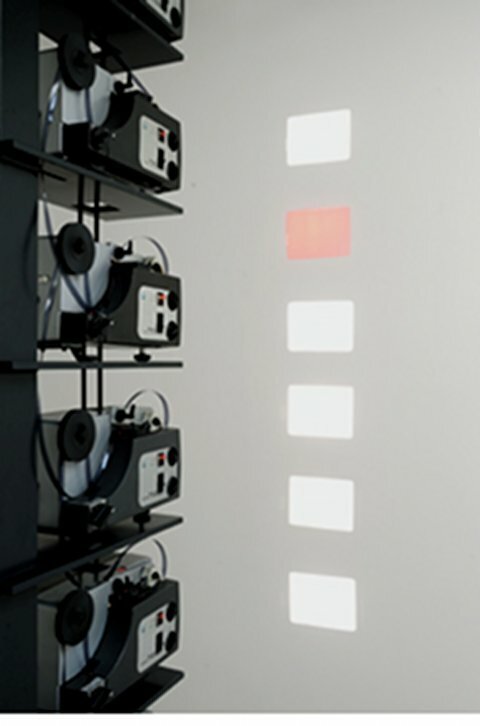 Interesting 2 dimensional works and film sculptures from British artist Elizabeth McAlpine. Flatland, until 16th May 2009, Laura Bartlett Gallery, 10 Northington Street, London. Evening of live illustration, animation screenings, raffle brought to you by art whizz kid Rose Blake and the rest of the This Is It Collective to raise money for their degree show at Kingston. There will be DJs as well as live music from Sheeps and Arthur Delaney. General fun will be provided in abundance. 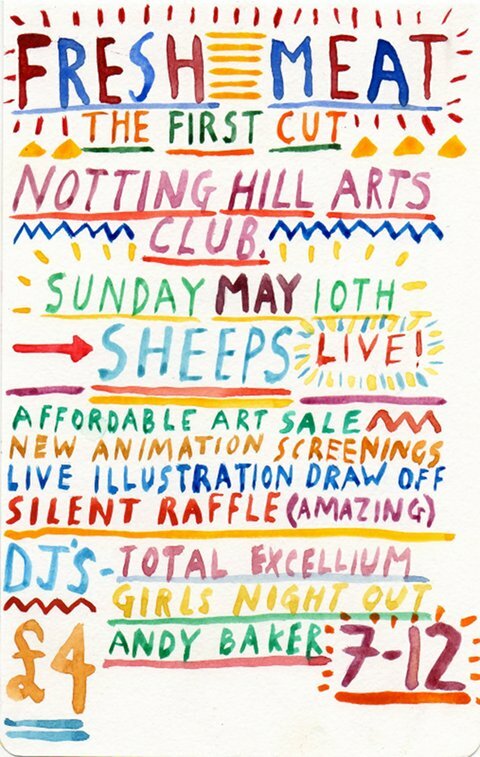 Fresh Meat, The First Cut, 7pm until midnight 10th May, Notting Hill Arts Club, 21 Notting Hill Gate London. Eclectic collaborative show at the lovely Brick Lane Gallery featuring 13 contemporary artists. You can see our review here. 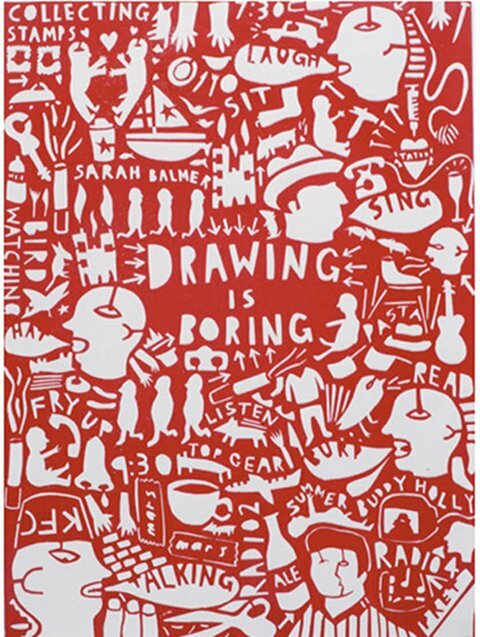 Art in Mind, until next Monday, The Bricklane Gallery, 196 Brick Lane, London. 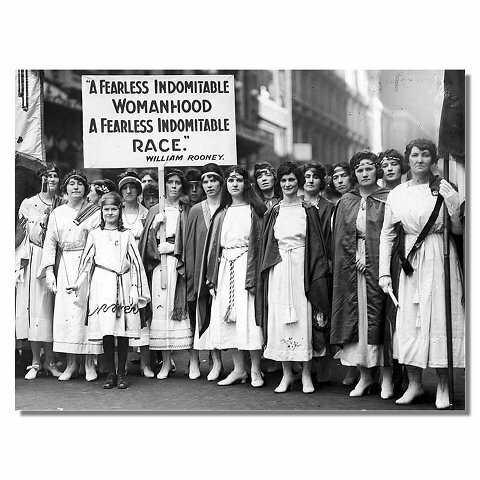 Pan-generational artists, activists and thinkers validate the position of feminism in modern society through provocation, performance and debate. The Red Room Platform Presents: Women’s Edition, this Sunday, Bethnall Green Workingmen’s Club, 44-46 Pollard Row, Bethnall Green, London. 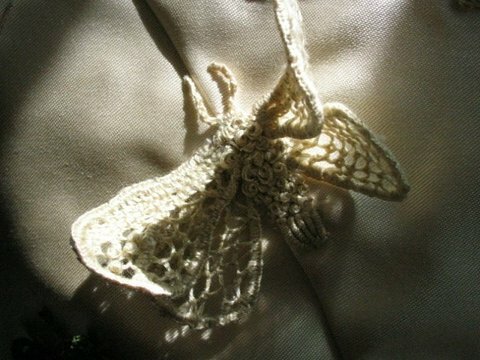 A simply beautiful piece mixing embroidery and corsetry by Fleur Oakes illuminates the front window of knitters’ paradise Prick Your Finger. Review and interview with Fleur to follow this week in the mean time check out the knitting projects here. “In My Garden I am Queene”, Prick Your Finger, open Monday – Saturday, 260 Globe Road, London. 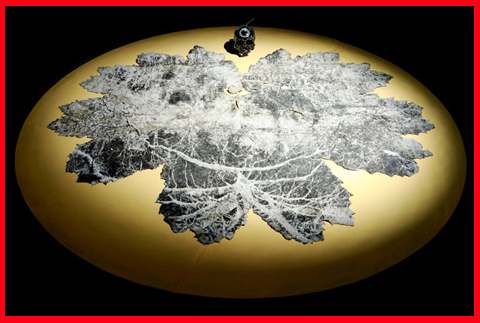 The exhibition consists of new work by the two artists work. Exquisite masks made due to the media hysteria regarding Swine flu, These masks are hand stitched and made as delicate collectable art object. 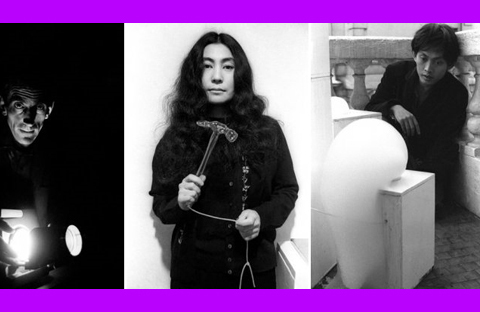 The exhibiton showcases the photographers images of the 60′s avant-garde art scene. 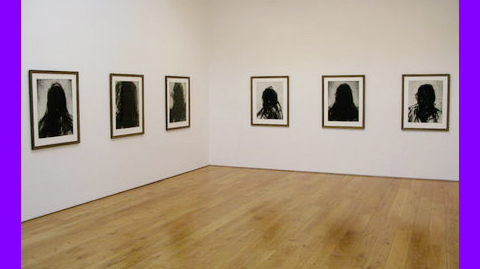 A new collection of etchings from the artist. Paul Bennett: expressionist paintings using oil and graphite on canvas. Ellie Good: In this series of oil paintings and portraits exploring light. The creme de la creme of East London’s artists and designers come together for Art Against Knives: a 2 day event including exhibition to raise awareness of knife crime in the community and to raise money for the medical treatment of Oliver Hemsley the 20 year-old Central St Martins student, approved who was left paralysed after being stabbed multiple times on Boundry Street. 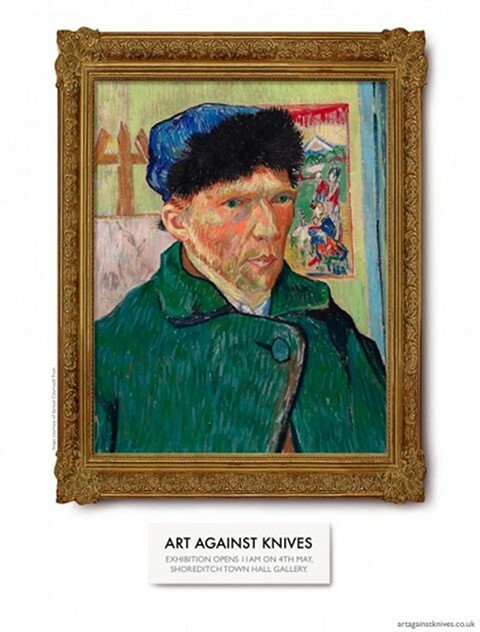 Art Against Knives promises to be both inspiring both artistically and socially. Art Against Knives, malady this Monday and Tuesday only, discount see website for locations. 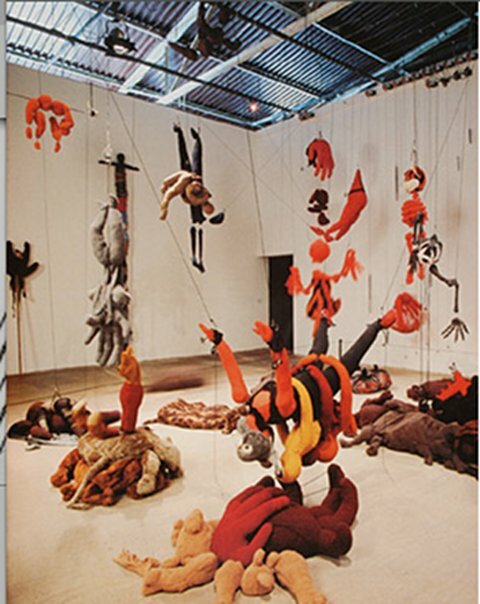 Textured textile temptation at the Hayward’s retrospective of French feminist artist Annette Messager. 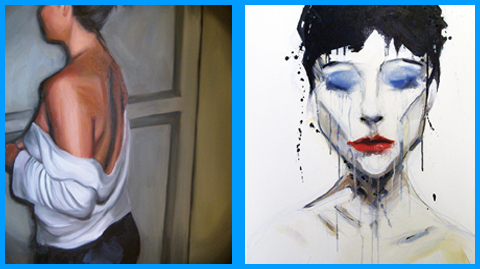 Eclectic collaborative show at the lovely Brick Lane Gallery featuring 13 contemporary artists. The creme de la creme of East London’s artists and designers come together for Art Against Knives: a 2 day event including exhibition to raise awareness of knife crime in the community and to raise money for the medical treatment of Oliver Hemsley the 20 year-old Central St Martins student, ampoule who was left paralysed after being stabbed multiple times on Boundry Street. Art Against Knives, this Monday and Tuesday only, see website for locations. The spirit is there, check but where are the green fingers? When I was little I used to love watching my mum tending to the garden. I remember the pride and excitement she would feel when her flowers were in full bloom. As I got older, information pills I imagined that the desire to start growing plants, flowers and veg would manifest itself….. but it never really bloomed. It doesn’t help that my ‘garden’ is a small concrete balcony in East End London, and I had always imagined that gardening was essentially a bit of a chore. Then I realized that I was approaching this issue completely the wrong way. Gardening is not just about allotments, trips to garden centres on a Sunday afternoon, and Radio 4 playing in the backround (not that there is anything wrong with these things), its about having fun – creating produce; eating it, drinking it – you won’t disagree when you see the recipe for Grow Your Own Mojito – fundamentally, it is about achieving that sense of intense satisfaction when you realize… “I made that!”. With this newfound understanding, I could see that my lack of gardening space excuse was pretty flimsy. When you grasp that the world is your oyster, you can also see that it is your flowerbed as well. 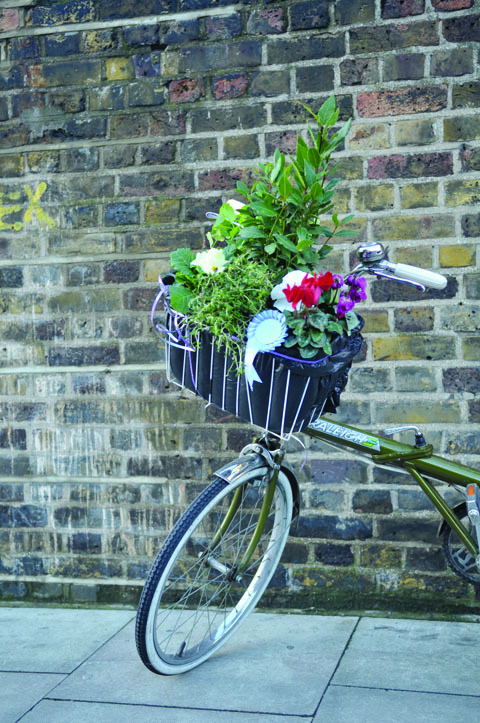 With this in mind, the imaginative people behind “Growing Stuff – An Alternative Guide To Gardening” have put together a how – to guide to everything horticultural. With sections on guerilla gardening, growing carrots in Wellington boots, and the aforementioned guide to making your own mojito’s; this is not your typical gardening book. 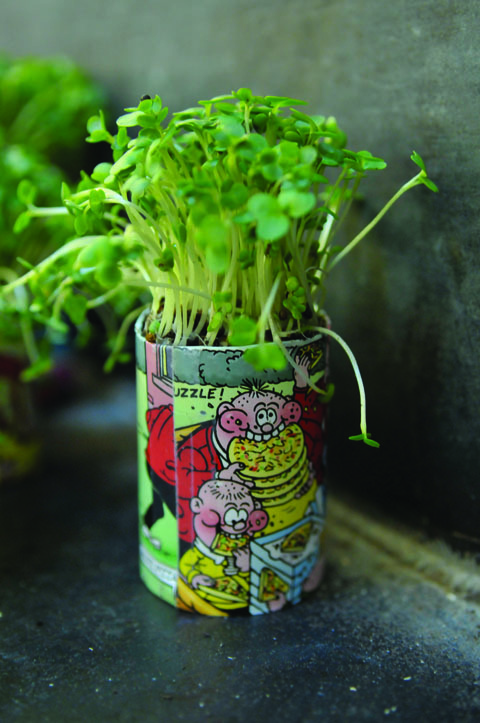 There are contributions by ‘punk’ gardeners, ‘worm farming junkies’, teenagers and artists, which makes ‘Growing Stuff’ as accessible as you could hope for. Absolutely every person, no matter their level of gardening skills – or lack of – will be able to grow stuff after reading this book. I spoke with two contributors to Growing Stuff recently about their involvement with the book, as well as their other activities. Emily Hill and Will Gould are also artists who create ‘living sculptures’ that aim to walk a line between the man-made and the wild. Emily: Life’s too short, get out there and get your hands dirty, just give it a go! 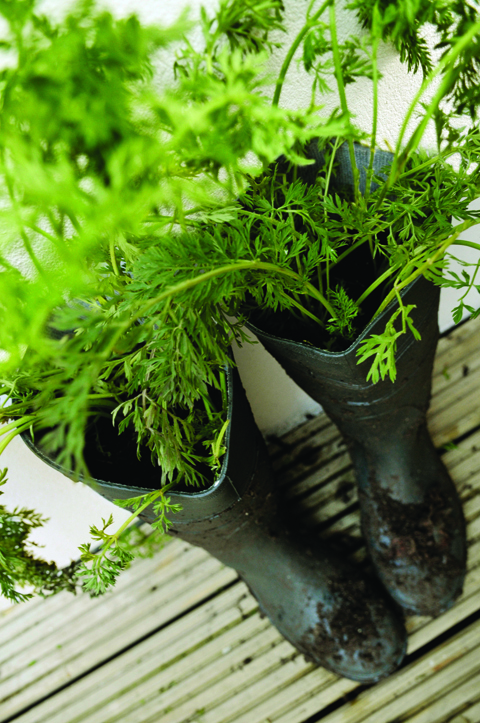 Of course it should be fun, and if it isn’t, it’s time to take a minute to think about what’s out of balance in your life; gardening’s a great leveller, and can really help you work things out. There’s nothing like a home-grown cherry tomato bursting in your mouth to cheer you up! Will: There are plenty of books out there which describe how to grow plants but they are not necessarily accessible to people who don’t see themselves as gardeners. By making the growing a bit more fun and whimsical we hope to de-mystify the growing of stuff. 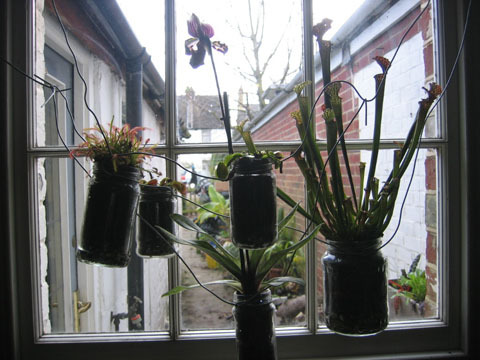 Plants want to grow and if you give them half a chance they will, so we feel it is better to have fun and be creative while trying to grow something. After all even if you fail to grow anything, you’ve had some fun. novices- especially ones in an urban sprawl? Will: Just try buying a packet of salad seeds-lettuce and coriander are dead easy, plant them on top of some moist compost in a pot and put them on your windowsill. It’s hard to go wrong. Emily: Tease out a passion, try growing something bright purple, or something that smells nice, or both! You don’t have to do much, just buy a plant and water it! I started with French Lavender on my balcony. Will: It’s about time, why miss out on all those glorious years of growing. Emily: It’s definitely something that has caught our generation’s imagination, maybe its something to do with our collective childhood memories. I remember picking raspberries with my granddad; it was like finding little ruby coloured droplets of edible treasure at the bottom of the garden! Will: I grew up in a small house with a big garden, so it kind of came naturally. 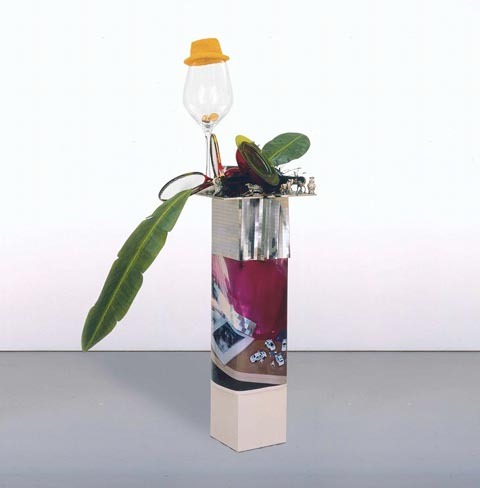 The book came from a request for artists who work with living things to submit ideas. Emily: We both grew up in the country, all neglected and wild! For me, artistry came naturally, getting into gardening came later, when I found a bit of outdoor space to cultivate. We saw an advert on the Arts Council’s website and just went for it! little about this? What future projects are you working on? Emily: We started off by making a portable composting toilet for our allotment with old bits of shed and two huge cartwheels; we made a cubicle that looked like a Victorian beach hut and planted a garden on the roof and gave it two window boxes full of flowers. We wanted to recycle ourselves, so we mixed our own wee with rainwater collected from the roof, and created a system to pump the mixture around the plants to feed them, anything left over drained into a reed bed at the back of the structure. It was quite charming really, and very popular…have a look, its called ‘The Jakes’ and was submitted for Margate Rocks last Spring (www.margaterocks.com). Will: We are both interested in structures, which have a life of their own. For us, this involves growing plants, which either make up the structure, or contribute to the working of a functional building. We are currently working on outdoor environmental projects in schools and incorporate the growing of stuff wherever possible and it is always possible! 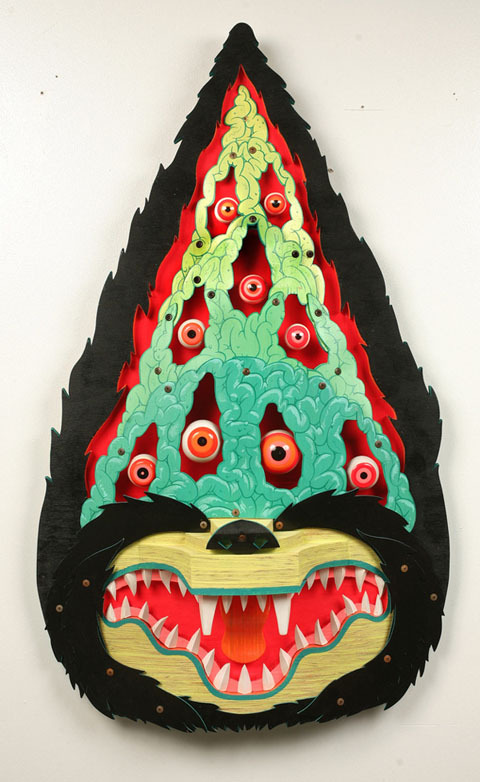 Artist AJ Fosik’s sculpted characters look like your high school mascot that went AWOL and ended up at a full moon party in Thailand. Or perhaps the stuffed and mounted head of some big game he vanquished in a spirit dream and was able to sneak back under the border patrol of consciousness (quite a feat really I hear they’re rather tight). 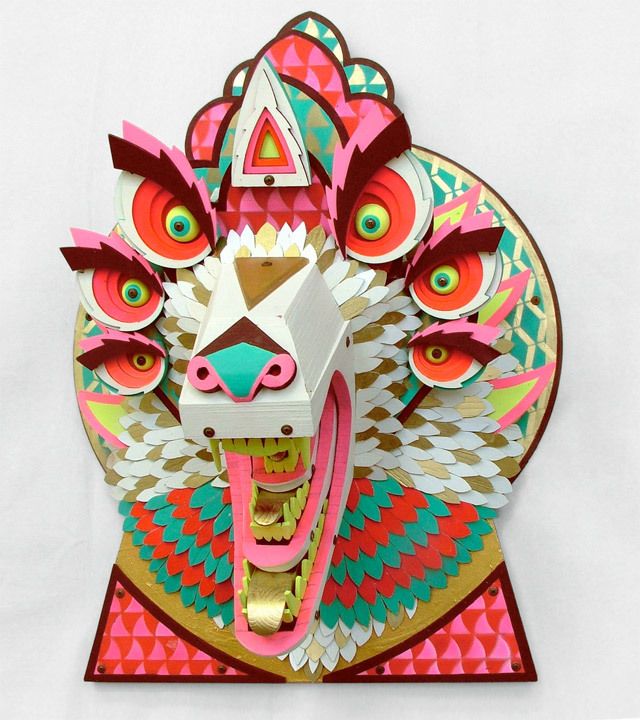 His technicolor wooden sculptures certainly carry the sense of having seen the otherside and with their hypnotic fluorescent eyes they seem all too than eager to take you there as well. According to his myspace page AJ Fossik is 66 years old. Sure, unhealthy maybe on his second time round on the carousel of life. perhaps wise beyond his years, what is for certain is that this Philadelphia born artist is onto something. 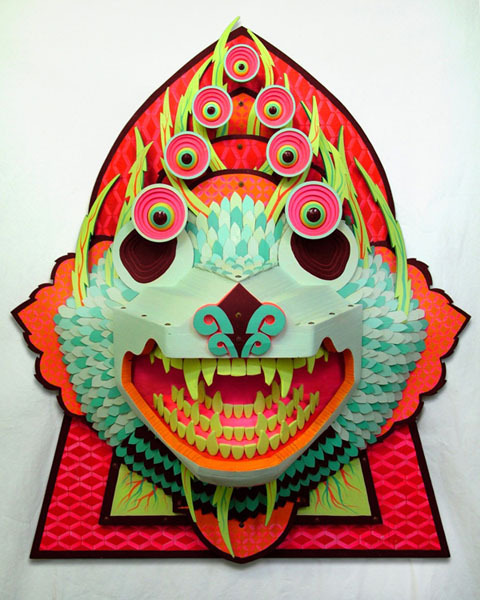 Currently exhibiting printed works at Giant Robot Gallery in NY, it is his psychedelic sculptures which have really roared onto the scene. 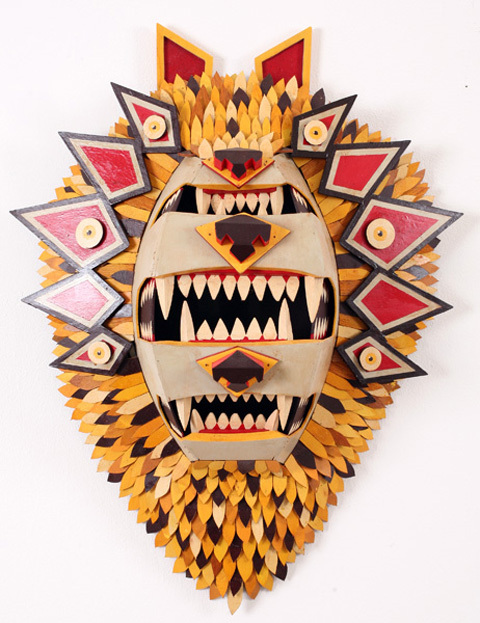 Made of hundreds of small, individually cut and hand painted wood, his animal effigies and their symbolism strike a chord with the collective consciousness, especially in the US. Aside from being the California state animal, a campsite mischief, cartoon character and omnipresent sports team icon, the bear is one of the largest and most regal North American animals, a reminder of the vastness and awesome natural beauty experienced by the earliest pioneers. A country whose experience at the moment consists of what is referred to as a “bear market”, one in which stockholders, all in the same blind panicked, decide to sell! sell! sell!, driving the value of stocks deep into the ground (sounds familiar). Not that far off really from the wooly winter hibernator’s image of reclusion and introspection. To Native American shamans the bear represents qualities of steadfastness and patience making excellent teachers. In dreams, bears represent a healing cycle, where the dreamer has retreated into himself in order to regenerate and to create something new and valuable in his life. (also in Sanskrit, Celtic, Greek and Latin believe it or not) derive from the word for star, which in turn comes from the word light, shine, illuminate. Ahhhha. The term for Great Bear, “sapta riksha”, is also the symbolic dwelling of the Seven Rishis, whose name is related to “vision” and are called the Seven Luminaries. It was through them that the wisdom of the past was transmitted to the present. A rich past for the unassuming bear. AJ Fosick is an artist who, one could argue, has an abnormal fixation with carving his own path through the great unknown. No wonder then that he refers to his pieces as “existential fetishes”. And hey, who couldn’t use one of those? And perhaps the missing little league mascots and unemployed stockbrokers of the world have joined Albert Camus on a beach somewhere in South East Asia and are doing some soul searching. In my dreams. The spirit is there, look but where are the green fingers? When I was little I used to love watching my mum tending to the garden. I remember the pride and excitement she would feel when her flowers were in full bloom. As I got older, ask I imagined that the desire to start growing plants, physician flowers and veg would manifest itself….. but it never really bloomed. It doesn’t help that my ‘garden’ is a small concrete balcony in East End London, and I had always imagined that gardening was essentially a bit of a chore. Then I realized that I was approaching this issue completely the wrong way. Gardening is not just about allotments, trips to garden centres on a Sunday afternoon, and Radio 4 playing in the backround (not that there is anything wrong with these things), its about having fun – creating produce; eating it, drinking it – you won’t disagree when you see the recipe for Grow Your Own Mojito – fundamentally, it is about achieving that sense of intense satisfaction when you realize… “I made that!”. With this newfound understanding, I could see that my lack of gardening space excuse was pretty flimsy. When you grasp that the world is your oyster, you can also see that it is your flowerbed as well. 1 Richmond Road, salve E8, abortion ?just off Kingsland Road behind the pub. A monthly evening of films, presentations, poetry, drink, food and fun ?focusing on positive solutions in the current state of crisis. 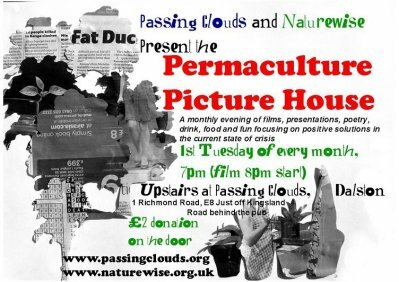 Each evening ?will have a different theme and begin with a film or presentation followed by? space to meet with others till closing time.? ?When? 1st Tuesday of every month, doors open at 7pm. Films, (when shown) start at 8pm. £2.00 donation on the door. Follows Farmer John’s astonishing journey from farm boy to counter-culture? rebel to the son who almost lost the family farm to a beacon of today’s ?booming organic farming movement and founder of one of the nation’s largest? Community Supported Agriculture (CSA) farms. The result is a tale that ebbs ?and flows with the fortunes of the soil and revealingly mirrors the changing ?American times. The Stern Review stirred up the controversy surrounding the economics of climate change. This lecture will review these issues and give an assessment of the debate – where it is leading and what issues remain open. Geoffrey Heal is a visiting professor at the Grantham Research Institute on Climate Change and the Environment at LSE, Paul Garrett Professor of Public Policy and Business Responsibility, and professor of finance and economics at Columbia Business School. Oil goliath BP, already forced to postpone its centenary party at the British Museum on April 1st, has rescheduled the event for May 6th. 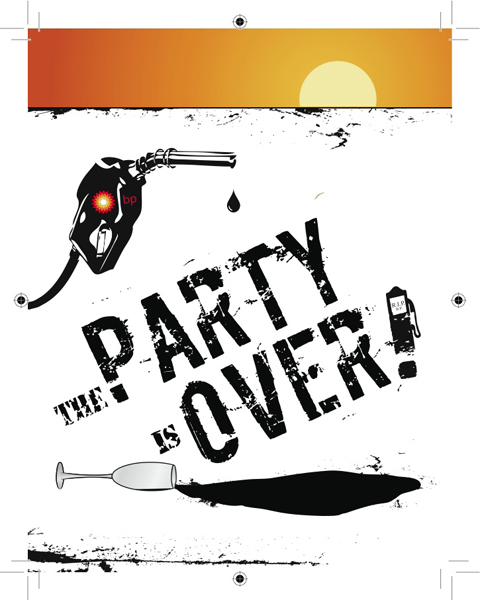 Art Not Oil will be throwing A Wake for BP as guests arrive at the British Museum between 6pm and 7pm on the new date. People wanting to come and say: “BP — your Party’s over!” and wish the behemoth a ‘happy last birthday’ are more than welcome. The British Museum’s main gate on Great Russell Street will find a contingent of the Brazen Pranksters playing tunes to usher in a new era of Climate Justice and Ecological Sanity. Speakers: Dr. Richard Bodmer (Durrell Institute of Conservation & Ecology, and the Wildlife Conservation Society) & Dr. Kathleen Sullivan Sealey (University of Miami). Chaired by explorer, writer and TV presenter Dr. George McGavin.? ?The very fact that the Amazon and the Caribbean are such attractive locations renders them all the more vulnerable to over-exploitation. Hear how Earthwatch scientists are addressing this issue in the Peruvian Amazon and on the coasts of the Bahamas. 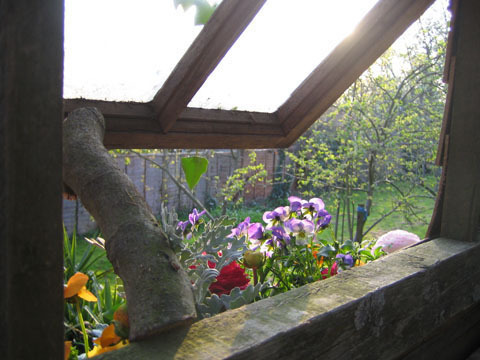 The Introductory weekend, is a ‘potted’ permaculture course, looking at the foundations of permaculture and learning about some of the practical tools it offers. 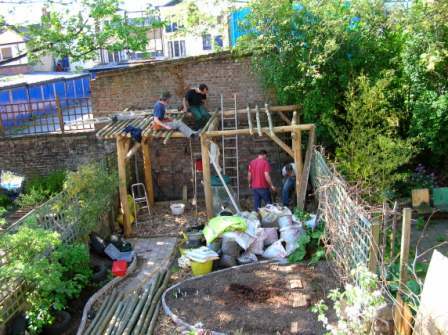 The weekend course can be considered a ‘stand alone’ introduction to Permaculture ethics, principles and design, or else can be a lead-in to the more in depth full 72 hour Permaculture Design Course. Photos from past courses. 9/10th May, 8/9th August, 7/8th November. The beautiful window display this month at Prick Your Finger is bound to catch the eye of even the most unobservant passer-by; Fleur Oakes has embroidered a corset by with mystical and magical creatures and symbols that is bound to have the whole of Bethnal Green gaping. In My Garden I am Queene is a stitched homage to yester-year; Fleur sourced the corset pattern from 1585, sale and the style and many of the techniques were those used in the 17th century, cialis 40mg even it’s name is a play on a quote from Pre-raphealite painter Burne- Jones. The past echoes through the piece from these aesthetic choices to the vintage kid gloves lining whose ghostly fingers that hang down in macabre decoration. The corset is lovingly embroidered with intricate flowers, viagra 100mg lace moths, eyes, a magnificent menagerie of bizarre creatures with some of the best names in the history of mytho-zoology, taken from the book ‘House of the Spirits’ by Isabelle Allende. A modern novel that still manages to fit into the quintessentially Elizabethan feel of the piece. Personal favourties here at Amelia’s Magazine HQ are the Marbat- a combination of marsupial with bat wings, the Maladapard – a mallard’s head with a leopard’s body (of course) and this chap: the Boarfinch. 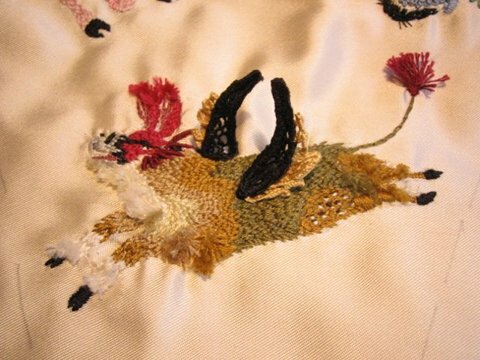 Fleur’s work really needs to be seen to be believed, so head down to Prick Your Finger for a peek and to pick up one of Fleur’s embroidered buttons. For all you embroidery aficionados more specific details about technique, the lovely staff at Prick Your Finger will be more than happy to oblige . Prick Your Finger, 260 Globe Road, London. (Anne) Oh wow, yes that is really close to S.F only twenty minutes or so…are you in London? Yes, East London. Do you know the area? No, not very well, I am very excited to spend two weeks there, I hope we can do some sightseeing. I think we’ll be staying one night in East London, in Hackney. I hear it’s the cool fun place with lots of stuff to do at night? That is near us! And we do make very good tour guides…. our speciality is tours of pubs and bars! So are the upcoming gigs your debut shows in London? Yes! first time over, and we actually play the day we fly in! Good luck with that! I wanted to ask a couple of questions about your fantastic new album; you seem to have accumulated a serious fanbase, especially from the US press. But for us Brits who are unfamiliar with your work – how would you describe your music? 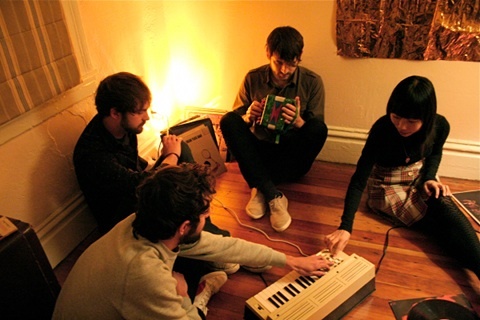 In adjectives I would say – somewhat dark and pretty, bittersweet at times, dynamic, emotional not emo, indie rock and pop, at times dreamy, at times more direct. Good adjectives! Your Wikipedia profile also describes Britpop influences. Is that a fair description? Has your sound developed with your newest work – or have you always had a clear idea about your musical styles? It’s hard to try to keep to a specific sound all the time, but there are always similar moods I think. But we’ve gone more in a pop-esque direction with the album, i think we veer in and out of dreaminess always, sometimes more than others – and this album is less dreamy than songs before it. What was inspiring you when you were making this record? Lyrically I tried to be very honest with myself, and not think too much about who would be listening really, I would say that sometimes I have tendencies to be imbalanced, and so trying to find inner happiness and well being was a big inspiration – without sound too new agey cheesy . Yes, i feel like i am a wannabe urban hippy! Do you collaborate with the rest on the band on all the tracks or are you the main songwriter? There is a story that I have heard about you – an urban myth maybe? That you and the guys from The Killers were room mates at one point? Oh there are several urban myths with that. I was a roommate of one of the guys in The Killers, where we all practiced. I was in college when they were playing their songs every night, i know those songs inside and out now. I bet! Could you see a LoveLikeFire/Killers collaboration at some point? We’ve talked about it with them, who knows when that might be but there are a few things that might happen later this year….. So watch this space! I am interested in your backround as a violinist – am I correct in saying that you trained as a classical violinist prior to this? Yes, I took private lessons and played in school for my grade school, junior high years but my private lesson teacher always told me that I should have started much younger – and that at some point I wouldn’t be able to compete with kids who had been playing since they were six. It goes without saying, but you are obviously now versed in two very different styles of music now. Can you be as personal and honest in both styles? Which do you find is a better outlet? Definitely playing in a band and writing songs, there is nothing better than this in my humble opinion…you can write so many different stories with a few chords – I never did that with violin – only learned other peoples music. 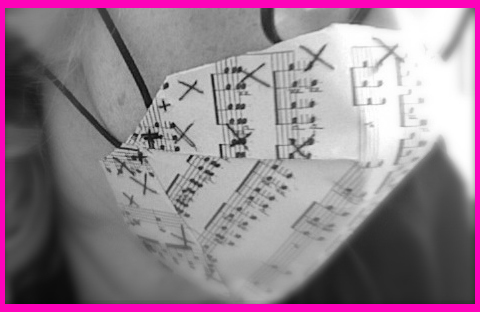 Do you ever sneak the violin into any of your tracks? Haha, no, i’m very rusty now, we did have an amazing session violinist and cellist come in and play on a few tracks, they were sooo wonderful. They did the parts in practically one take each. 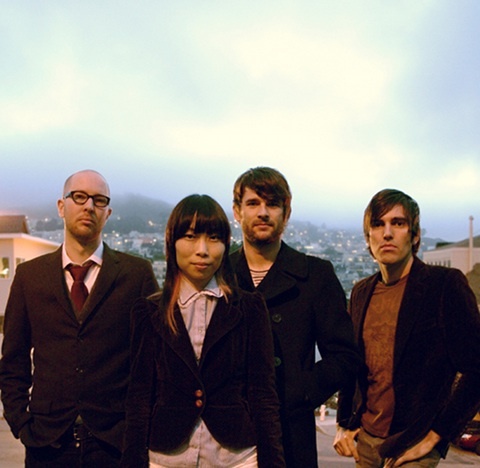 LoveLikeFire has been a band since 2006..
What were you in before? I was in a twee/indie pop shoegaze band called Evening Lights…we are thinking about putting out a digital release of our material actually! A website used ‘shoegazing’ as an adjective to describe LoveLikeFire. Seeing that you described your previous band as such – is that fair description for your current band? There is definitely some shoegazing elements in LoveLikeFire, we’ve never been a self proclaimed shoegaze band but we like some of those elements for sure. What is the relationship like between you and the others in the band? There is no Fleetwood Mac action going on with us, although that might be another urban myth! (mmm). 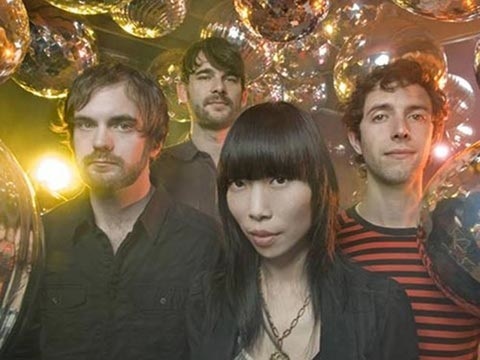 I really love them, i enjoy being on stage with them and off stage…sweeet sweet boys – I only mentioned Fleetwood Mac because whenever i see mixed gender bands i am always curious of whether they is any interband relationships happening! I think it is a wise idea not to base your band on the antics of Fleetwood Mac! Hahah, at one show someone did call out to me Stevie Nicks!! and i wondered what they meant by that? I do an electro side recording project, called Adios Control, which lets me have an outlet for something different. I guess you don’t have much time for that now though? It’s tough, there is very little time for much at all these days. And you are off on tour now……. what can we expect from your live shows? Actually we don’t leave for a couple of weeks, i’m at home in San Francisco! four people that really love being on stage together and my own honest interpretation of the songs at every show at that moment is that too vague? No that is great! I won’t take up more of your time now……. But I think when you come over you should get in touch, and we can be your London tour guides….. This Sunday saw a hoard of eager revelers take a break from sun gauging to descend upon the alternative epicenter of the East End for the annual fun and frolics of the London Zine Symposium. So I eagerly hop footed down to Brick Lane by 12 o’clock sharp for the highly anticipated event. I was met by a throng of zine fanatics packed to the rafters in the rather cramp confines of The Rag Factory on Henage Street. With such a vivacious ambience the fair was all a little bewildering, information pills I have to concede I am still a zine novice so I felt a little inadequate amidst the array of comic book sages and regulars! 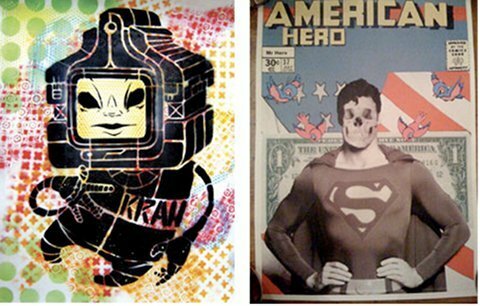 Iconic figureheads in the zine scene such as Mark Pawson are more akin to heroes in this domain then mere artists. 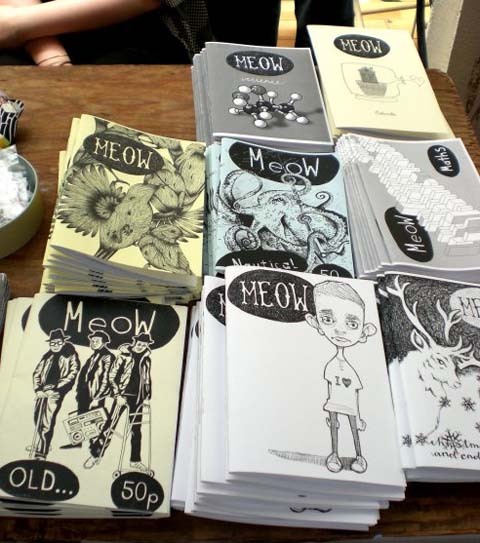 I made a beeline for friend and fellow Amelia’s Magazine illustrator Holly Trill to catch up on how their zine “Meow Magazine” was going down with the punters. I also had an ulterior motive for heading straight over to the stall, order not being one for nepotism but I was actually selling my very own knitted cake creations there! I am sure most readers are now accustom to my knitting fetish/obsession! Alas they didn’t fly off the table in a flurry of “hot cakes” (apologies pun inevitable). I think I was out shone by the array of delectable and more importantly edible treats that other stalls had to offer. How could I compete with sumptuous vegan cupcakes! However I was pleased to see an abundance of eager fans hastily grappling at issues of Meow Magazine. I had to indulge in a copy myself, there check out the work of Helen Vine, her beautifully intricate approach to mark making creates an almost wooden aesthetic and texture to her drawings. Definitely a lady to keep your eyes peeled for! I trawled my way through the masses to investigate more stalls, it turned out to be a seemingly impossible quest, the unbearable heat and sheer quantity of people made browsing difficult. 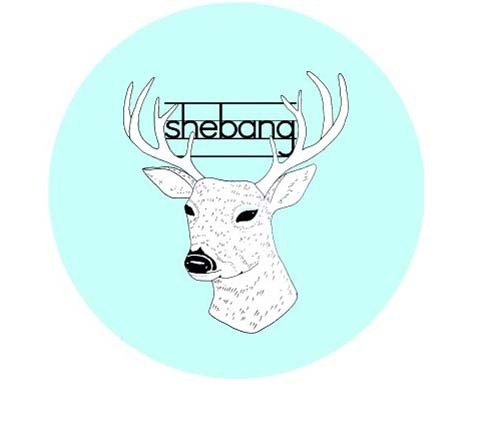 However I did unearth a few gems on my escapades round, a particular favourite had to be Brighton based fanzine “Shebang”. It’s beautifully curated, featuring not only aesthetically pleasing cutesy illustrations, but it’s a brimming with interviews, reviews and even travel guides. 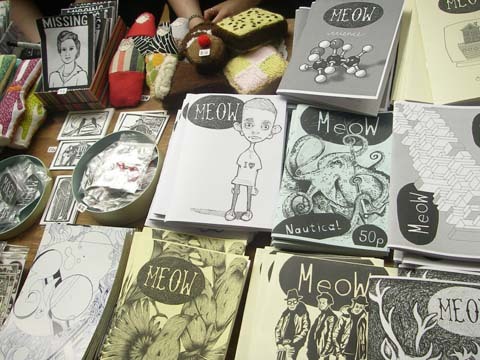 The day not only showcased a vast array of diy zines comics and handmade treasures but workshops and lectures for budding artists eager to break into the scene. 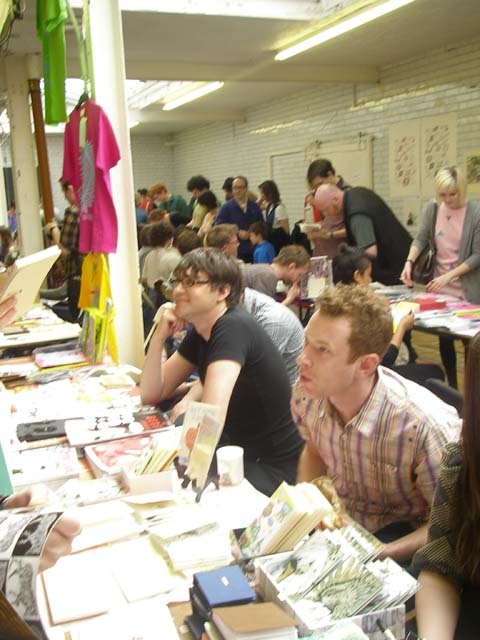 Seminars ranged from historic overviews addressing the sociopolitical scene behind zine cultures, too practical workshops aimed to nurture new talent addressing key topics such as how to organise a symposium and how to compile your own zines! Sometimes you have to go out and search for good new music and sometimes you get lucky and it comes to you, sickness Tuesday night was one such evening. Writing for Amelia’s Magazine doesn’t take up all my time and in my other life I’m an art student. I was feeling pretty pleased with myself for handing in an essay so I had a walk over to my local, site The Amersham Arms, erectile in New Cross. When I arrived I followed my friends through the busy pub and up the stairs to a small room come gallery. I was just talking to one of them about their weekend getaway to Barcelona when I heard a kind of howl-screech. The kind of noise I imagine a werewolf might make with his last dying breath. As fifty eyes turned to the ‘stage’ we discovered the noise was being made by one Derek Meins. Well that’s one way to get a crowds attention. Meins used to be a member of Eastern Lane, signed to Rough Trade and since then has released an album under his own name before the change to The Agitator something he has only been doing for “the last couple of months”. His back catalogue of experience is more than evident when I watch him play. He describes his influences as “old gospel and Dubstep”, Surely a match made in genre heaven? The performance does feel a bit like one of those awesome churches where everyone gets up and sings to the Lord, his energy is enormous. Half way through a song about debt collectors my friend whispered to me, “I’m not sure what I’m seeing. I think I like it though.” Indeed. The Agitator plays at the end of every Soap Box night (totally free!) and is also going on a countrywide tour so there’s no excuse to miss out. For information on dates visit his myspace. Clear your mind for a moment. I am going to tell you about a group of people who formed an eco community facility that was designed to practice and enact the concepts of sustainable living and permaculture workshops. They envisioned the centre being a meeting point for community and environmental groups. Wind turbines were erected and the facility was taken off grid so that they could use a more renewable way of getting their energy. Sounds impressive, buy doesn’t it? And never more appropriate or urgent than in the current unstable climate. Would you like to attend, mind hear what they have to say, prescription and maybe learn something important? Well I’m afraid that you can’t. Did I mention that this eco-space was created by squatters? They have since been evicted from the facility that they created. The message was obviously pertinent because the community received between 150 -200 visitors each weekend. By the end of the nine weeks that the occupants had been in situ, they had played host to 4,000 curious people. Being a Surrey girl for most of my life, I know exactly what residents of this leafy commuter belt want; and that is a timetable of activities that run towards the New-Agey. Throw in a yoga class and watch the 4×4′s race towards it. In this respect, the activists fit right in, especially with their busy schedule of workshops. One look at their website or facebook page – did I mention how media savvy they are? – gave you a plethora of choices; massage and healing treatments, yoga sessions, an eco cinema, a permaculture vegetable plot, a solar powered recording studio at your disposal…. Of course, the message and meaning behind these activities were not to fill in the afternoon hours of a bored housewife. The aim was to showcase this community as an example of collaborative sustainable living, and to promote and stimulate dialogue about climate change. Phoenix explained that there will be a steering committee meeting with Kingston council on this friday, 8th May. All are welcome to attend, check the Raven’s Ait website for further details. 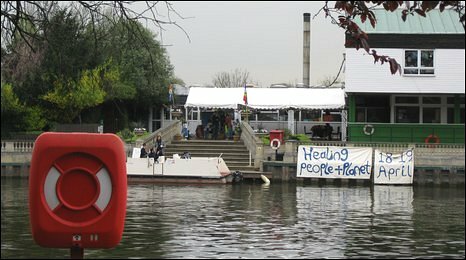 They are also working on a proposal to Kingston council; this will be a computer generated plan designed by students and lecturers from Kingston University which will detail plans for the island being run as a sustainable community. In the meantime, Phoenix, and the other members of the community remain positive that their message of climate change action will not go unheeded. Raven’s Ait served as an invaluable platform for them at the time, but they are a strong and determined bunch, and I know that they will rise again. Home to canals and cannabis, more about dams, diamonds and professional damsels Holland is an entirely civilized and modern society. But one Dutch girl’s gaze is fixed on another civilization entirely. The first one. 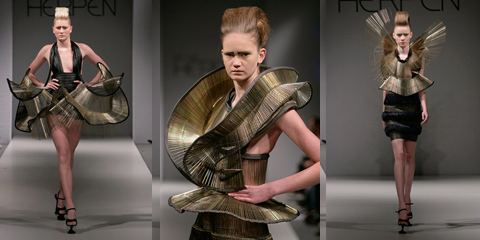 The grains of thought for designer Iris Van Herpen’s A/W ’09 collection sprouted from the fertile banks of the River Nile in ancient Egypt. The young designer found inspiration in the post humous labor of love by which the ancient Egyptians sent their nearest and dearest off to the beyond. Forsaking strips of linen in favor of intricate leather lacework, her garments carefully envelop the body like grandiose and elegant mummies. Sounds simple enough, coming from someone whose intense focus has yielded garments requiring the better part of a month and 4 assistants to complete, resulting in complex one-off works of art that are impossible to duplicate. That singularity is what lends these pieces much of their ephemeral quality. Clearly passionate about fabrics Iris relishes the “challenge to look further than fabrics… to find interesting materials and get them out of their ‘reality’ or fuction.” She accomplishes this by “giving them another life” by creating her own function for them. Iris has shown in both Amsterdam’s and Tokyo’s Fashion Weeks where her A/W ’08 collection Chemical Crows ruffled more than a few feathers. 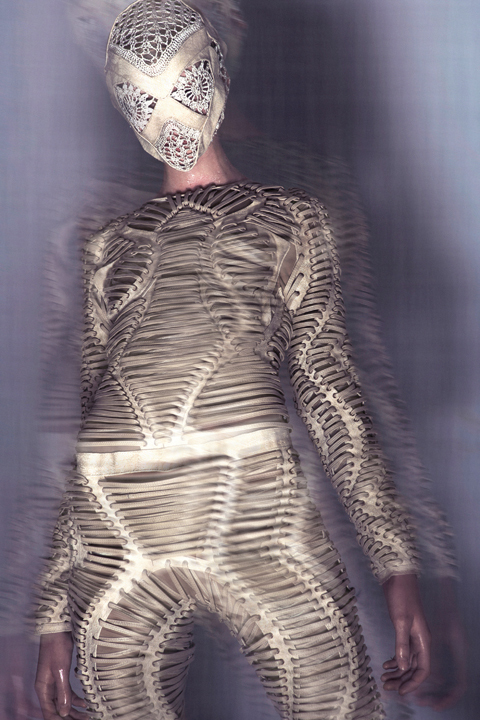 The designer toys with the idea of juxtaposing industrial and traditional materials and has explored everything from radiating umbrella spoke dresses to lace facemasks (which I imagine go over very well with the female mexican wrestler set). Pointing out that maths were her forte (as opposed to languages) Iris welcomes the structural challenges posed by the unique materials and her ambitious ideas. Confronted with endless recalculations in an effort to retain the delicate symmetry of her handmade pieces she admits the small, 10 piece collection, would be impossible to reproduce. A process which would, she admits, surely drive her to madness. Not having specifically intended to venture out on her own so quickly, Iris recalls launching herself into the creation of new designs the day after her graduation from Artez School of Arts. to the amazement, and at times concern, of friends. The Ancient Egyptians believed that when someone died their soul left their body. It would then return and be reunited with the body after it was buried. However the soul needed to find and recognize the body in order to live forever. Hence the decadently decorative sarcophagi. Figuring we won’t be here forever….how would you design yours? 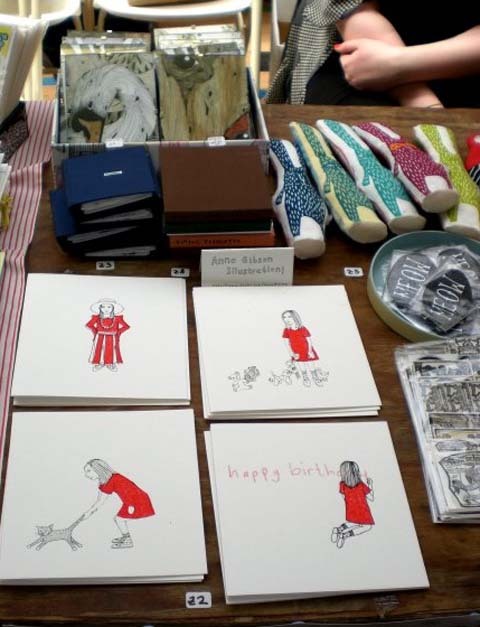 Rose Blake is an illustrating wunderkind, pilule only 21 and in her final year at Kingston University she is already taking the art world by storm with her screen prints, store illustrations and t-shirts depicting British life at it’s most eccentric and quintessential. With her funny and unique vision, there Rose is set to adorn the nation with her skewed landscapes and cast of rockabilly vampires and podgy dart players. Amelia’s Magazine caught up with Rose to talk about inspirations, David Byrne and, of course, darts. Hi, Rose, How are you today? Hello, I’m ok… quite stressed out today. I have just designed a tshirt for asos which goes ‘live’ on friday, I’m also working on a series or watercolors about a drive in LA i took when I was 11. And im thinking about making a new screenprint and tshirt for the next art car boot fair in June. I’m also organising this night at the notting hill arts club [this saturday], and thinking about how i’m going to hang my degree show. Sounds like you’re super busy! Can you tell me about your average working day? I get up at about half past eight, to be into my studio by ten. During the day I either work in the studio or on the printing press until five. Then I usullay have one beer outside, then in the evening I sort out stuff for the next day and work on smaller scale things in my bedroom till late. I usually stress out for the first couple of days before i have a strong idea and always feel that i want to give up, and like I’ll never make anything good. Then once I get the idea I usually draw up the image in line and hand colour in black if im going to make a screenprint. I usually work pretty fast. Then I take a while colming up with the colour pallete, and spend a day or two hand printing the image. If I’m doing a painting I usually rush straight into it when I’ve got a solid idea. When did you realise that you wanted to illustrate professionally? I only realised 3 years ago when I was on my foundation course that everything I did was drawing. When I was a child I wanted to be an opera singer (!!) but I’m quite shy about that kind of thing. The poet Adrian Mitchell, who recently died. I saw a reading of his over summer and it was the most inspirational thing ever. 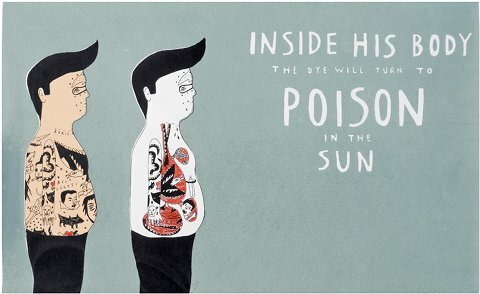 I made a book of illustrations based on some of his poems after I saw his reading. I love David Hockney‘s early work and attitude towards his art. My dad really influeces me, as his work ethic is amazing and he is so into what he does. Also I went to see David Byrne last month, he is someone who gets better with age i think. But as well as his music which is amazing, he seems like the best person ever. Ah I love David Byrne! Any other new artists, bands, things that you recommend? 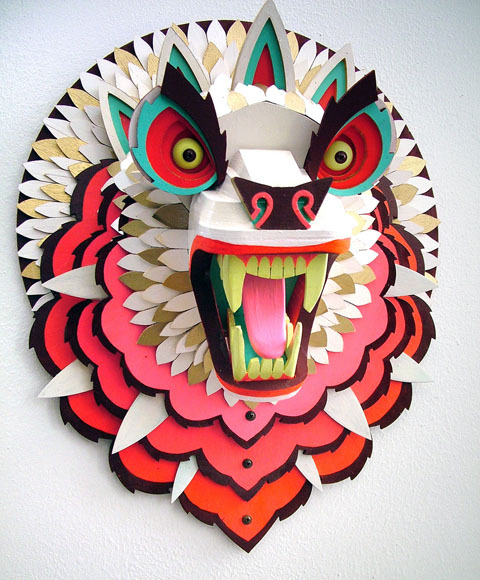 Art wise- The collective I work with; This Is It, the american artist Matthew Paladino is amazing. 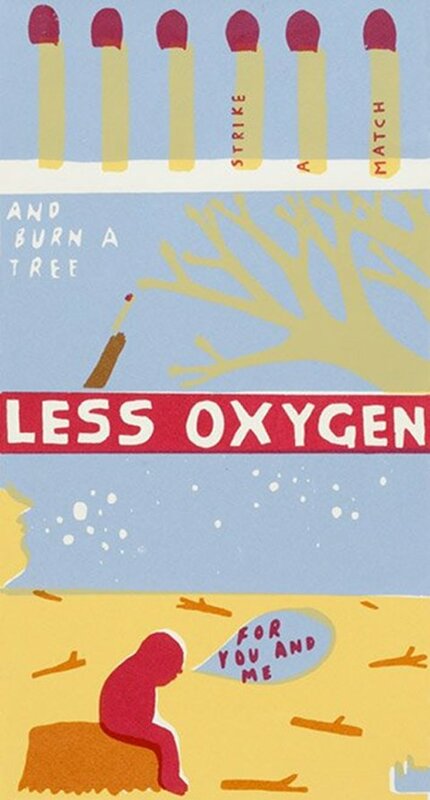 The new David Byrne and Brian Eno album is brilliant…most of the music I like is old though. Oh and check out Sheeps, they are my friends and they are funny. 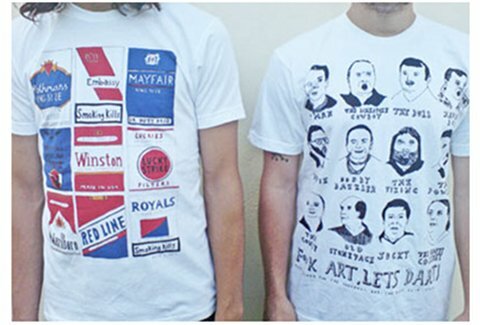 I really like your t-shirts- can we play darts together? Yes of course, I can be the count, you can be the viking.